Type the title of the post into the title field. Write the blog text (please remember not to copy-paste text directly from Word) and add media. Later, if you want to update the content, make the needed changes and click Update. 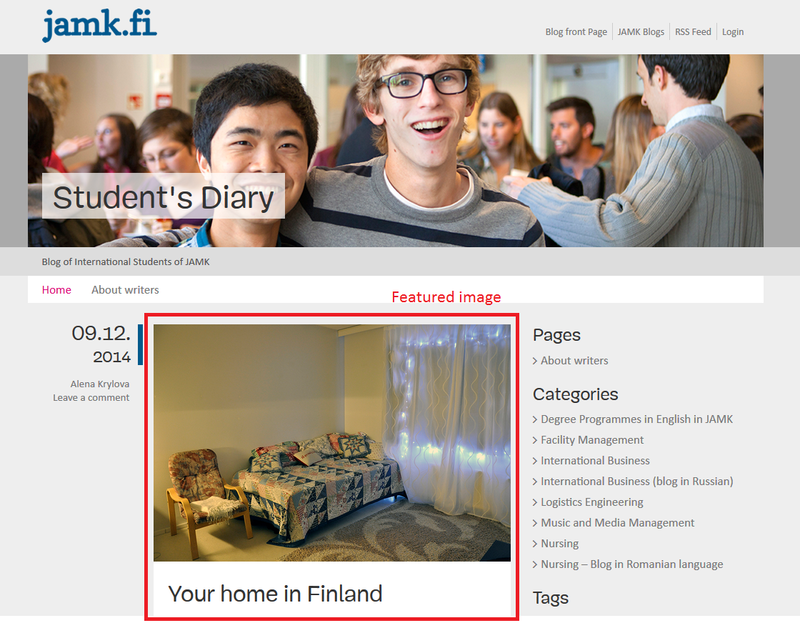 Add Featured image to the article to make the front page of your blog more interesting. You can add a Featured image at Edit post -view. 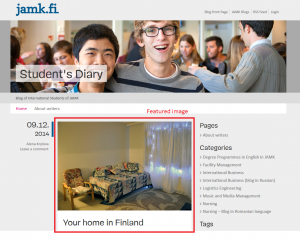 Just click Set featured image and choose the image from Media library or bring a new picture from your computer.